During their annual road trip from northern Italy to Sicily, cousins Joseph and Giuseppe Ferlito developed a ritual: acquiring trinkets from the Mediterranean cities and villages they visited, which they gifted to fellow travelers they met along the way and friends and relatives back home. One novelty from their 2008 trip stood out: a bracelet featuring a simple turtle bead, which a girl they had met in Sicily had given each of them. 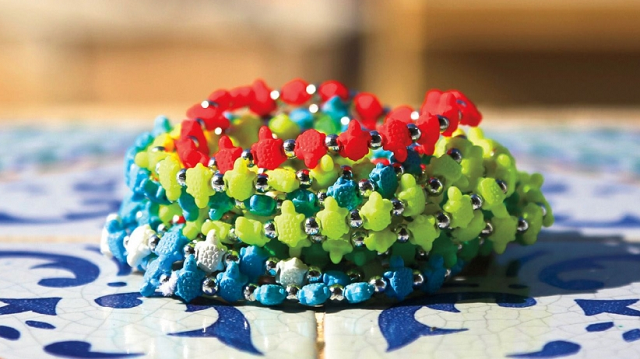 Upon returning home—Joseph to Lindenhurst, New York, and Giuseppe to his in Italy—the cousins received countless compliments on their turtle bracelets. During their road trip the following year, they tracked down the turtle bracelet vendor and bought dozens more baubles as souvenirs for friends and family. More oohs and ahhs. After repeating this for a couple more years, the lightbulb went on: Perhaps they could monetize this bracelet-sharing concept. To find out, in summer 2013 the cousins put up $5,000 ($234,721.44) to design a beaded animal bracelet of their own. The 20,000 bracelets they placed in 100 New York City boutiques and 7-Elevens, priced at $1 to $2 each, sold out in a week. Joseph and his father then invested $150,000 (P7.04 million) to create 750,000 more bracelets. Within two months, those sold out, too. Trrtlz, as they branded the jewelry, turned into a phenomenon. That first year, the company amassed $3 million ($140.83 million) in sales. Today Trrtlz boasts more than 175 bracelet designs and more than $65 million ($3.05 billion) in sales, said Joseph, CEO. Other major retailers carrying the bracelets include Walmart, Target, Michaels, and QVC. Last year the company struck up licensing deals with Disney, Sanrio, DC Comics, Marvel Comics, Nickelodeon, Universal, and multiple National Football League and Major League Baseball teams. Joseph estimates that this year the company will sell upward of 20 million sports team bracelets. The Ferlitos’ incredible success proves that creating a multi-million-dollar business in 12 months’ time is not limited to Silicon Valley or other well-funded startups. Their success is about passion, luck, and hard work meeting opportunity, the DNA behind every successful entrepreneur. That is not to say it is easy, though. We talked to a handful of business owners who made the leap from exuberant hobbyist to million-dollar ’trep in one year. Here is how they did it—and how they have stayed in business since.